beautiful and unique architecture, rich in history. To celebrate many of these events and the surrounding traditions, the Provo City Landmarks Commission has joined with the Utah Division of State History, the National Parks Service and the Freedom Festival to produce a self-guided tour of buildings listed on the National Historic Register and on Provo's Landmarks Register. Complimentary "Historic Provo" guidebooks . "Historic Provo" guidebooks are available to download and print. 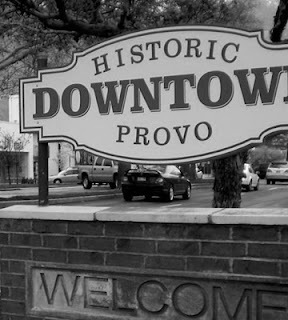 The guidebook contains a brief history of Provo, the development of its historic architecture, and photographs and descriptions of many historic sites in the city. Thanks to Utah Valley .com for the information!